Typically we’re working with individuals that are 65 or older. Amazingly, we’ve dealt recently with a couple owners that were over 90 that were still in their homes and were just in the process of transitioning to something that was easier for them to take care of. 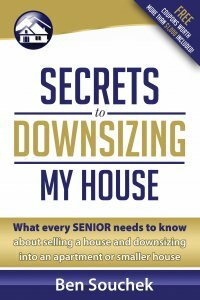 Typically there’s a lot of reasons that people want to sell and want to downsize, whether the house is too big, they can’t navigate the stairs anymore, they can’t take care of the yard or depending on where you’re from, they don’t want to worry about snow removal. And they don’t want to worry about having a vacant house if they have the move or if they’re in the process of moving. Health issues also. Not safe to live alone. And, sometimes those situations where the adult children are saying you need to do something else at that point. We certainly don’t push anybody into having to move out of their house. It’s certainly most of the times when they think they have to, or the adult children think they have to. 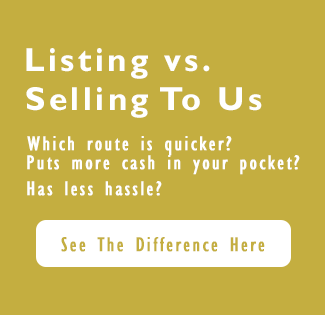 Sometimes we do run into individuals that want to sell their house and downsize because they want to travel. But that’s just another reason of why people would downsize.